Lock in a great price for House Marija – rated 9.5 by recent guests! Everything about House Marija was great. Our room, though somewhat small, was very clean, efficient, had everything we needed including a mini-fridge, was convenient to restaurants and bus stop, quiet, etc. Comfortable bed. Marija was extremely pleasant and helpful in giving us advice, and helping with our transfer to the bus stops. Very charming stay. And Marija was very responsive in communicating to my inquiries via email. Nice touch too that she left a bottle of home-made plum brandy for us to try. We highly recommend House Marija. 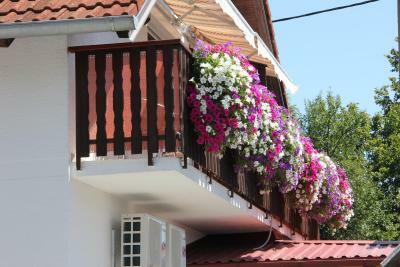 Very comfortable well equipped apartment in great location minutes from plitvice lakes. The room was really well equipped and perfect for what we wanted for a couple of nights visiting Plitvice Lakes, which was only a few minutes drive away. Clean, comfortable room in a good location—close to grocery stores and restaurants. You had everything you need in that space! It was clean, bright, and had lots of storage. The host is nice and clean. The owners are nice and okay. we thought that having a free drive for just to the entrance 1, which just 6 minutes but it cost a bit. :( However, the owners are still kind! I definitely recommend Maria's appartment and Maria as s host. The owner was very attentive and recommend me to buy a ticket to Plitvicke Jezera in advance in order to avoid a big line. The appartment was enough spacious and very clean. the host is very nice! and there is very good restaurant nearby with 5min walking and also supermarket only 2minutes walking. good view outside. we love her apple tree in the garden. Really lovely location in the mountains of Croatia. The room felt cosy and was well decorated. The bed was extremely comfortable and the breakfast (we paid extra for it) was delicious! All in all we had a short but comfortable stay. 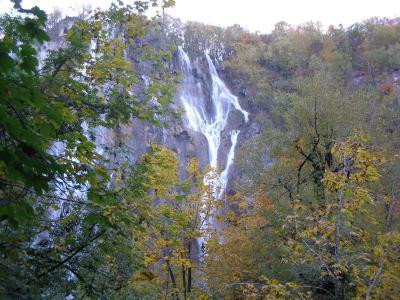 Ideally located for a trip to Plitvice national park. 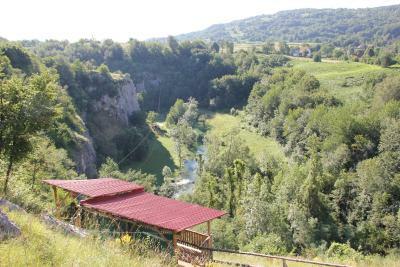 Great location in a small village 5 mins drive from Plitvice Lakes. Firendly welcome. The room was comfortable and clean. Restaurants and mini markets 2 mins walk. House Marija This rating is a reflection of how the property compares to the industry standard when it comes to price, facilities and services available. It's based on a self-evaluation by the property. Use this rating to help choose your stay! One of our best sellers in Seliste Dreznicko! House Marija is located in Seliste Dreznicko on the State Road D1, 2.5 mi from the entrance to Plitvice Lakes National Park. It offers air-conditioned rooms with satellite TV, free Wi-Fi and free parking. There is a bus stop only 500 feet from House Marija. Nearby there is also a market and a restaurant. A buffet breakfast is served on the wooden terrace every morning. 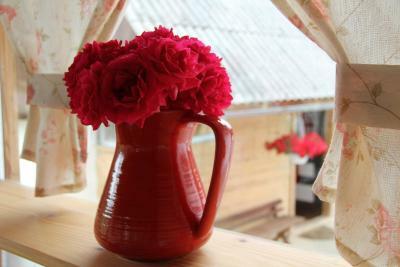 The rooms have wooden décor and overlook the surrounding hills. Guests can go cycling, swimming or hiking and explore Plitvice Lakes and Barac's caves. This property also has one of the top-rated locations in Seliste Dreznicko! Guests are happier about it compared to other properties in the area. 뀐 Located in the top-rated area in Seliste Dreznicko, this property has an excellent location score of 9.5! When would you like to stay at House Marija? The apartment consists of one bedroom, a bathroom with shower and a sitting area with a sofa bed and a kitchen. It comes with a balcony overlooking the garden. This air-conditioned room comes with a private bathroom and an LCD satellite TV. A water kettle and a mini fridge are also provided. This air-conditioned room with a balcony offering views of the garden comes with a private bathroom and an LCD satellite TV. A water kettle and a mini fridge are also provided. House Rules House Marija takes special requests – add in the next step! Booking.com takes your payment on behalf of the property for this reservation. During your stay, you can pay for any extras using Visa, ​Euro/Mastercard, ​Maestro and UnionPay credit card . The shower was quite small. I am an average build guy but it was close for me turning around. I can imagine it being uncomfortable if you are bigger. Even my partner who is quite small noticed it was a little small. Not a huge issue for us, but I could imagine it being an issue for others. There was nothing to dislike. Everything was very nice. 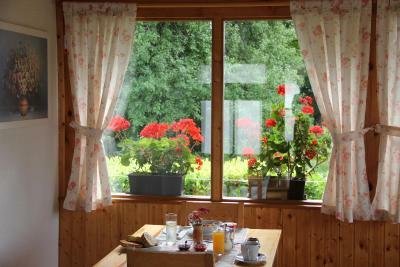 The house is located just a few kilometres from entrance 1 to Lakes Plitvice. Very easy to find , with parking place on the premises. Very spacious cosy room and bathroom , extremely clean. We were received with a fruit juice !!! Will definitely recommend to stay here when exploring Plitvice areas. Could be difficult To find a restaurant available in august the evening (a lot or people). Good value for money. At 3min walk from à supermarket. At less than 10 min drive from entrance 1. Very clean room. We didn t test the breakfast because we woke up early to be at 7am at lack entrance (in august), but you have a choice between 4 or 5 type or breakfast at different price. Super friendly owner, helpfull, great! Nice room. Breakfast is extra but it is worth it, it's delicious! The room was new and clean. The room and bathroom were very neat and tidy. Bed and pillow were very comfortable to sleep in. 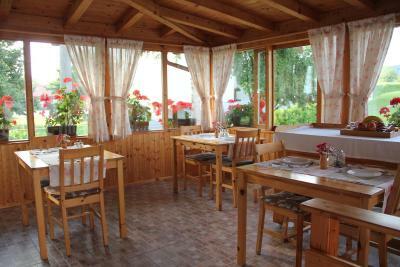 Location was great as it is close to couple of restaurants and plitvice lakes. It was very easy to book and the owner was friendly. I definately recommend this property. Very good value for money!